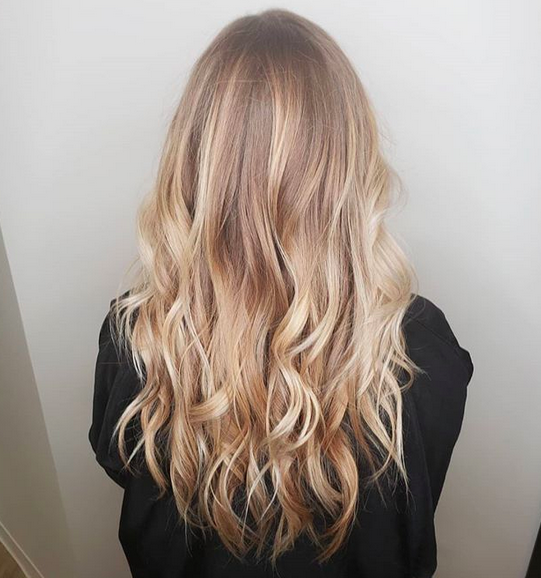 If you’re feeling a little overwhelmed in a world of balayage, mermaid hair and ever changing hair trends, then babylights might just be for you! Think fresh, natural and subtly soft colour. Babylights are beautiful soft highlights that lighten the roots of solid coloured hair. They are meant to mimic the hair of small children – that’s where the term ‘baby’ comes in – and it’s set to be this summer’s biggest hair trend! With summer just around the corner, the warmer weather has most of us wanting to shake up our look and babylights are the perfect way to do just that! The effect is in the softness of the colour and the result is a gorgeous sun-kissed look. For that effortless I-just-stepped-out-of-the-salon look, this is definitely the way to go. We’re calling it – babylights are a lazy girls dream! This hair trend needs little maintenance, which means more time lazing by the pool and less time spent worrying about touching up your hair colour. The highlights grow out as your hair does, leading to an even softer look. With no awkward grow-out period involved, we suggest booking in ASAP! Think your hair is too short for this trend? Think again! This is one hairstyle that looks great on everybody, no matter how long or short your hair is. It’s all about placement when creating babylights and the effect comes from placing the foils around the clients face as well as their hair parting. This means that no matter your hair length, anyone can get babylights and achieve that fresh summer look! Ready to shake up your hair routine but not ready to make a big bold statement? Then this is the perfect look for you! Known for being ultra subtle but still extremely effective (and gorgeous! ), babylights give you thin highlights that make it look as if you’ve been lying on the beach all summer long. The look is perfect for those who want that highlighted effect without the harshness. Think effortless and natural – it’ll be like you never even went to the salon! Whether your hair is thick or thin, dark or blonde, we promise you’ll be able to rock this look! Gone are the days where you’ve been told your hair is unsuitable for a particular style. Babylights also suit all skin tones and can do wonders to brighten up not only your hair colour but your face as well. No more flat one-dimensional hair! Bring some life to your locks this summer with minimal effort and commitment. It’s not hard to see why we’re such big fans of the babylights look and why it’s going to be your best friend this sunny season (and all year round!). So what are you waiting for? Come see our us and we’ll have you feeling summer ready in no time!